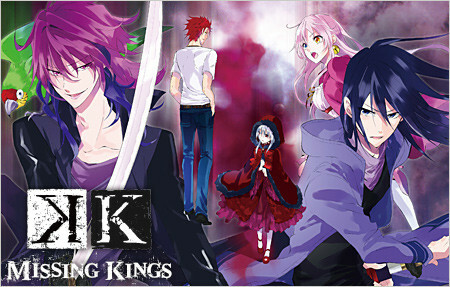 K: Missing Kings aired on the 12th of July 2014 and is 1 hour and 13 minutes long. It falls under the Action, Super Power and Supernatural Genres, however I would add Magic and Fantasy to that if I could. It’s been a year since the disappearance of Shiro, the Silver King; Kurou Yatogami and Neko have been diligent in their search, but to no end. Their investigation leads to a run-in with members of the now disbanded Red Clan HOMRA—Rikio Kamamoto and Anna Kushina—being pursued by the Green Clan, who desire Anna’s powers for their own ends. This is just a routine now but this is a disclaimer. These are all my views and opinions on the K: Missing Kings anime movie and I am in no way opposing any views anyone may have about this movie. “All you ever do is cling on to things. You’ll never be able to go anywhere unless you learn how to let go.” Those are the words of the main antagonist of this film, Mishakuji Yukari. What do they mean? Are they true? This film was intended to be the closure to the cliffhanger of the original story and, in my opinion, did a quite good job there. It answered a lot of questions and gave us more insight on the deaths of Totsuka and Mikoto we had already witnessed in the anime prequel. However, I must say I was confused at some points of the film and it made it harder for me to continue watching it. At some points I had to pause and go back a bit so I would understand what was going on. With more questions answered, we just got more questions to ask – Why did this happen? What did this character mean by saying that? What has just happened? However at the same time the story was paced well throughout the movie. None of the run time feels wasted and none of the plot points feel dragged out. The art of K stays flawless in this film as well. The scenery, the colours – ah, nostalgia! I especially liked the lightning and the animations of flames and special powers the characters used during the film. The animation is splendid – I re-watched some scenes way too many times! The action scenes in K: Missing Kings were splendid and I absolutely loved them, the movement was fluid and dynamic and it looked stunning. I really liked the original characters and it was really nice seeing them in action again. Some of them got more development and some of them were shown in situations we’ve never seen them before, which was refreshing. The main antagonist of this film really caught my eye and I saw a lot of potential in him, but in the end I ended up a bit disappointed. We never got to see any background story on him or character development – just a plain, shallow character who served to trigger the plot. I wish the creators put more effort in developing him. Although Yukari was not developed as much as I may have liked, some chatacters, such as Yata, Kuruo and most of all Anna got insane character arcs which absolutely blew my mind. Especially Anna, I can’t say I didn’t see the end of the arc coming but even then the reveal along with the dream sequence of Tatara and Mikoto left me in awe. This story teaches and shows us people at a whole new start, people forgiving and being forgiven. In this film you’ll see people letting go of old, and embracing new bonds that will certainly change their lives towards better. It was a truly amazing movie to watch and I will definitely re-watch it once I have completed the sequel to the movie, which is K: Return Of Kings. I highly recommend watching this movie and the K series in general.